I have another super talented class this year! We started yesterday creating one minute, continuous line drawings and then spending time developing them further with collage. 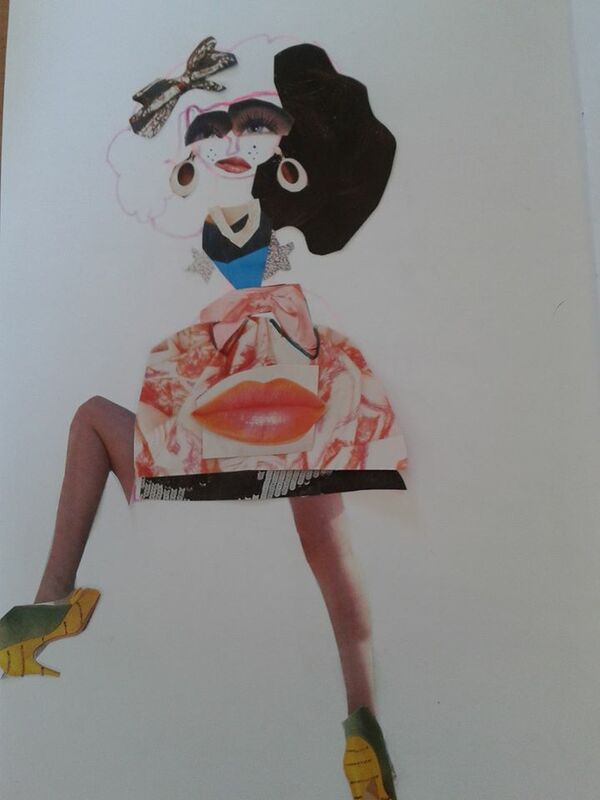 I absolutely love this Fashion forward Illustration by a year 5 student…………..a Fashionista in the making! This entry was posted in Uncategorized and tagged Art Classes, Art teaching, art workshop, Character Illustration, Collage, Continuos line drawing, Fashion, Fashion Designer, Fashion Illustration, Fashion Illustration Classes, Fashionista, gifted young Artists, Illustration classes, Newham Art, Rosetta Art Centre, timed drawings, Veronica Rowlands.